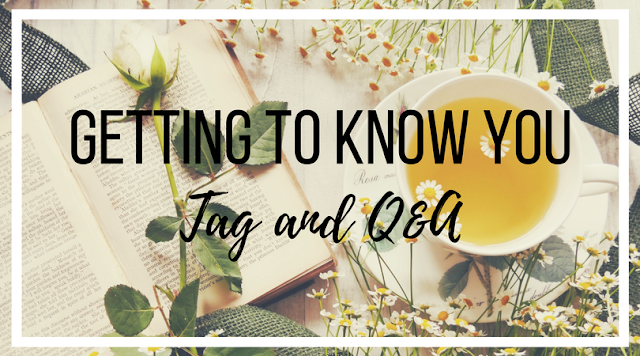 The lovely Kate from Confessions of a New Mummy has tagged me to take part in the Getting to Know You tag and Q&A. I've never joined in with a tag post, so here is my first! You might learn something new about me! I don't really cry much! But the last time I properly cried, was back in February at the funeral of one of my lovely past pupils. He tragically lost his life at the age of 12 to sepsis, brought on by flu. His mother is campaigning tirelessly to raise awareness of this potentially life-threatening condition. 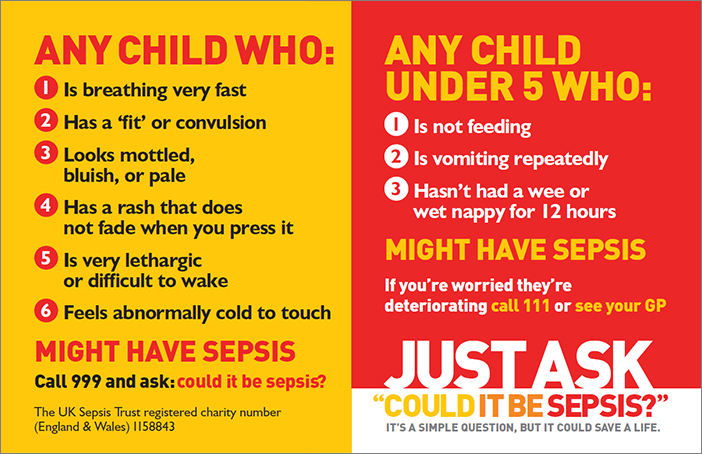 Make sure you are aware of the symptoms, and if in doubt just ask, "could it be sepsis?" Find out more by visiting the UK Sepsis Trust website. I don't see why not? I think I'm quite a good friend! Although there are times when I know I could have tried harder to stay in more regular contact with some of my far away friends. Life just gets in the way sometimes. I used to be a lot more sarcastic than I am now! I think teaching 5 and 6 year olds has helped me to reign it in a bit - they just don't get it! That's a good question! I'm not actually sure. I'm useless at noticing the details; I couldn't even pick out my neighbours in a line up! I'd probably say, their expression... Do they look approachable? Kind? Stressed?! I suppose it gives you an idea of how to interact with someone new in the first instance. Freshly baked bread and clean children, just out of the bath! Not really, unless you count sniffing out cake from a mile away... or not being able to stick to any kind of diet for long! I can make a good cuppa?! I'm a bit useless in this department too! 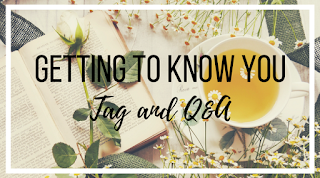 This is one reason I started this blog - to get a bit of myself back, to enjoy doing something for myself again, and to get back into writing which is something I've always liked doing. When I do give myself some time, I love to read but I'm seriously out of touch with that too since having kids! I'm pretty sure I always wanted to be a teacher! I remember giving my little sister spelling lessons on my chalkboard easel many, many years ago! Oh crikey, I've no idea?! I'll try and list them: Australia, New Zealand, Fiji, North America and Hawaii, Canada, Ireland, Northern Ireland, Spain, France, Greece, Germany, Austria, Switzerland, Luxembourg, Italy, Belgium, Crete, Croatia, Slovenia... I think that's it so far! My favourite subject in high school was psychology, which I took for A level. I had a brilliant teacher, and it was such an interesting subject too. I learnt a lot which has helped me in my business and teaching career. My worst subject was maths, but not until I got to high school. At primary I'd always been in the top set, but I went to a grammar school after that and I was put in the "special" group! To be fair, had I gone to the local comp with my friends, I'd have been in the average maths camp. But the grammar school I went to set such high expectations and went at such a fast pace that I was just left behind. One of my greatest achievements to this day is getting a B grade in my maths GCSE first time round! Tea - and lots of it! Quite strong with a dash of milk and two sweeteners! Failing that, I'll settle for a rum and coke! Now, that's a tough one as I don't really watch YouTube - unless you count countless episodes of Blippi and various renditions of Daddy Finger?! 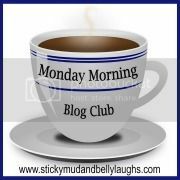 Aby from You Baby Me Mummy has been exceptionally helpful to me as a new blogger - She has some fab videos on her YouTube channel which are a great source of info for all things blogger related! Not many that are worth talking about! Haha! I've been with my hubby for 13 years this April, and married for 6! I live in whatever fits me at the time! Mostly jeans and loose fitting tops of no particular style. Most of my clothes are older than my children, and I spend more on their school shoes than I spend on an entire outfit! I am quite self-conscious at the moment, so I tend to reach for anything that covers a multitude of sins! I wish I could afford to have more fashionable clothes, and the body to wear them! I am totally envious of all those fashion forward mums out there; I admire their ability to dodge the snot and baked beans and look so presentable all the time! Falling asleep when I put the children to bed?! I'm not great at answering my text messages or ringing people back straight away. Must. Try. Harder! So there we have it. That wasn't so scary! I'm now tagging these lovely bloggers below. If you fancy carrying on the game of tag, please do but don't feel obliged!